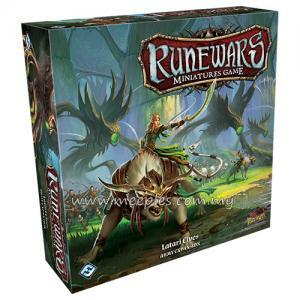 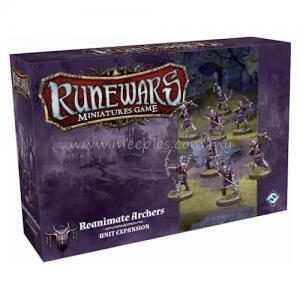 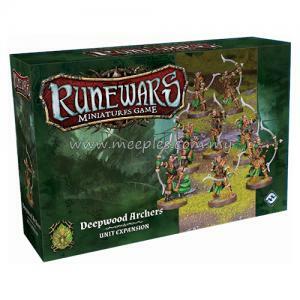 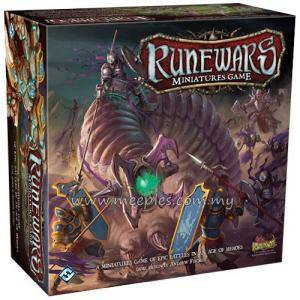 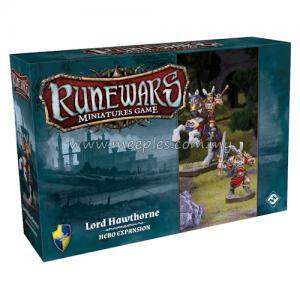 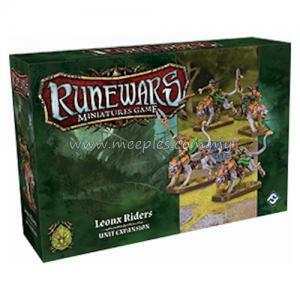 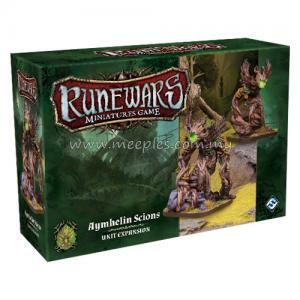 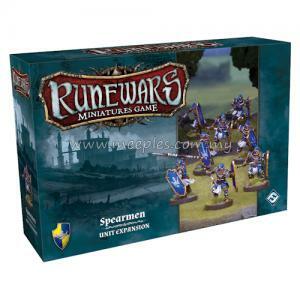 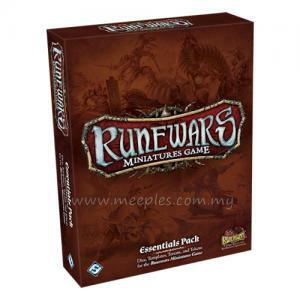 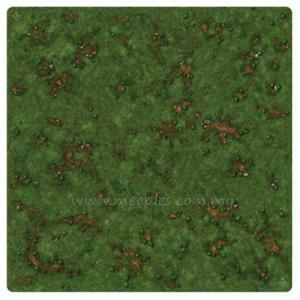 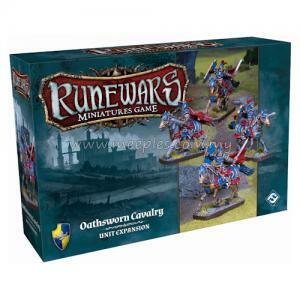 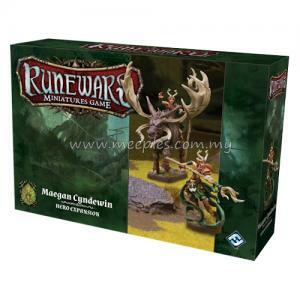 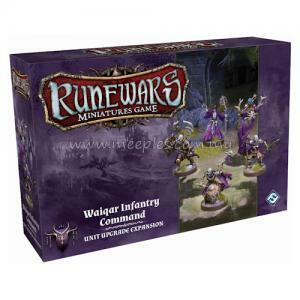 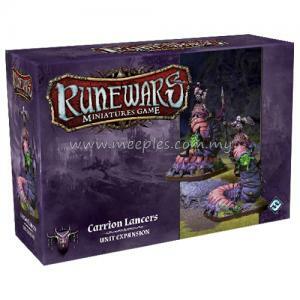 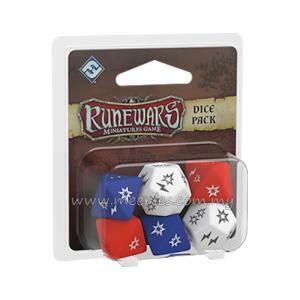 Crush your enemies with the Runewars Miniatures Game: Rune Golems Unit Expansion. 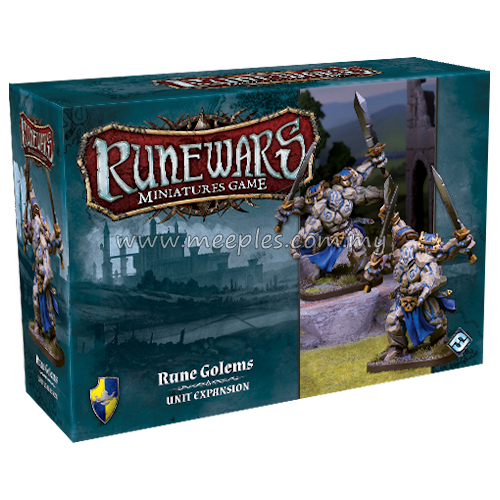 The pack comes with two Rune Golem figures for use with Daqan forces, one a brand new sculpt and the other a copy from the core set. 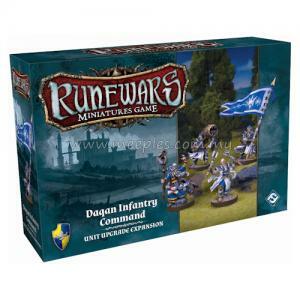 Additionally, inspired commanders will find eight upgrade cards to add to any number of your forces, usable outside of the Daqan faction to further customize your armies.